SANTA MONICA, Calif. – Lions Gate Entertainment Corp. on Friday rejected an offer from activist shareholder Carl Icahn to boost his stake in the movie studio by buying up to 13.2 million shares. The billionaire was looking to raise his stake in Lions Gate Entertainment Corp. to as much as 30 per cent. He currently holds a stake of nearly 19 per cent. The move comes as Lions Gate is considering bidding for the faltering Metro-Goldwyn-Mayer Inc. studio and the Walt Disney Co.’s Miramax Films division. 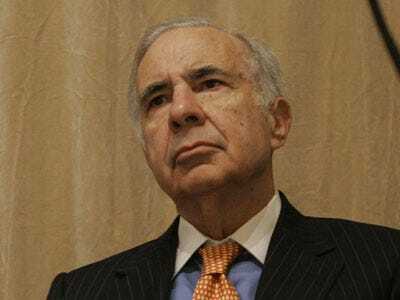 Icahn has been increasing his Lions Gate holdings since 2008 as he has fought for control with his former chief investment adviser Mark Rachesky, who owns a nearly 20 per cent stake. A representative for Icahn was not immediately available for comment Friday morning. The company, which is based in Canada but operates out of Santa Monica, Calif., was behind the Oscar-nominated movie “Precious: Based on the Novel ‘Push’ By Sapphire.” It also owns the TV Guide network.